Our brethren Jewish community 'Building Bridges' of solidarity with excellent etiquette of righteousness, honesty, belief in equality and religious tenets. Without such there is no peace, justice nor pluralism. 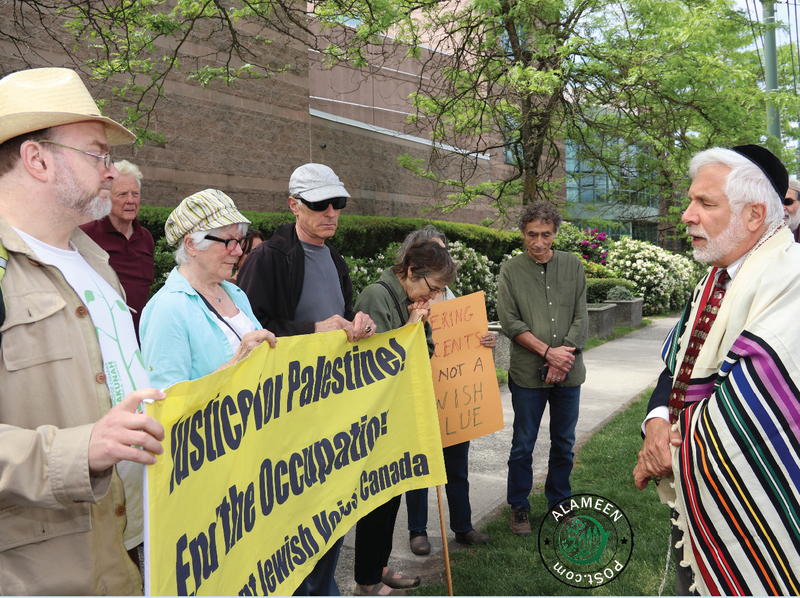 "The gathering marked the 'Shavu'ot' holiday with prayers, from the Jewish memorial tradition of 'Yizkor' and criticized CIJA's support for Israel's use of military force against Palestinians. "Hope is that growing international attention will unite peace advocates to pressure world leaders to intervene on behalf of Palestinians". "We want to offer our continuing solidarity as neighbors, friends and fellow citizens. The above is signed by hundreds of Jewish members". Another group of Jewish, Christian and Muslims called 'Freedom Flotilla Coalition', since years standing up for Palestinians against the illegal Israeli blockade of Gaza, for freedom of movement and the right to a decent future for all Palestinians. Such Spirit should continue by all of us especially in this sacred blessed month of Ramadaan.